Simple Downloader is for software sellers, and sellers of content publishers or software sales sites; any site that sells downloadable digital content - archived software, mp3 files, video files, eBooks, etc. Any single file, archive file or parent-child bundle can be sold securely with the Simple Downloader. 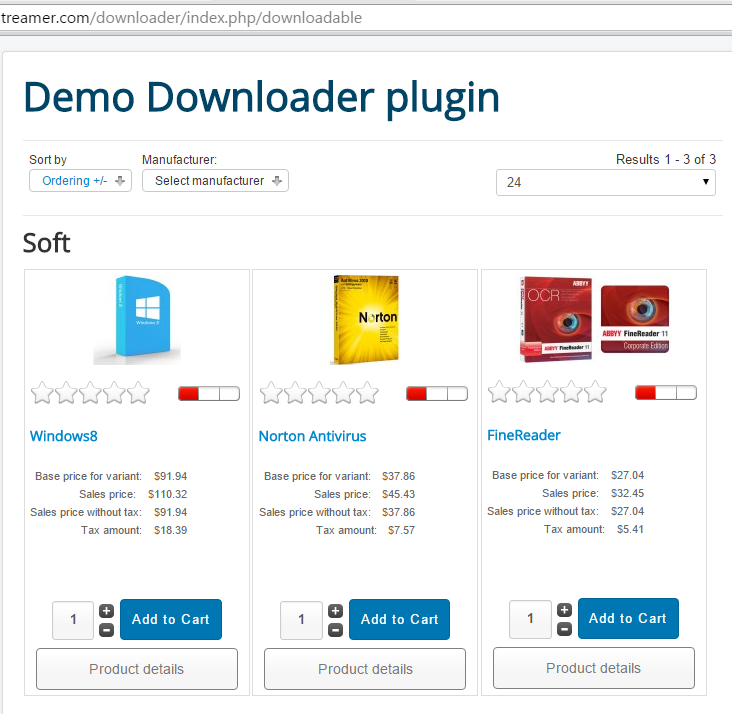 The Simple Downloader allows Virtuemart shops to sell software or any downloadable file; it is compatible with regular Virtuemart sites, and AJAX eShop sites. After customers make a purchase, they can download their product in their orders page or at their my Downloads page (can be named anything). Site owners can configure maximum downloads for the downloaded product.